If you are into the bass and also into barefoot, well this come from the pioneers: you’d love Jahcoozi’s newest track! Deep track. Perfect for walking over the rain! 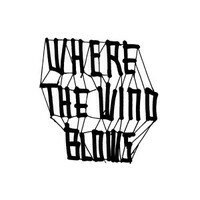 ‘Rainbows’ featuring vocalist Barbara Panther is out on the new Bpitch Control label Compilation titled ‘Where the Wind Blows’. Intertwined vocal lines forge a form of post-rock tinged electronic poetry.